THE University of Central Lancashire (UCLan) is leading a county wide initiative to inspire the next generation of engineers. As the main supporter of the Primary Engineer and Secondary Engineer Leaders Award competition for Lancashire, UCLan aims to encourage young people to look at the world around them and to find engineered solutions to common problems. Engineers from across the Region, including UCLan staff and student engineers, will be interviewed by Primary and Secondary School pupils to find out more about bringing their ideas to life. The children are then challenged to identify a problem, design a solution and write a letter to the engineer stating why it should be made. The Lancashire competition was officially launched at the UCLan and RI Young Scientist Centre with pupils from two local Primary Schools; St Andrew's C of E, in Preston and Salesbury C of E, in Blackburn, who came up with their own engineering ideas. Speaking at the event, UCLan Joint Institutional Lead Dr Lynne Livesey said:- "UCLan is a 'Centre of Excellence' for engineering and innovation and we are delighted to support the Primary Engineer and Secondary Engineer Leaders Award programme. Both Lancashire and the UK are facing a skills gap in engineering and by 2020, 1 in five young people will need to become an engineer to make sure we have enough people trained in this area. Here at UCLan we want to support engineering in the Region through education and business engagement and we are very much looking forward to seeing the competition entries later this year from the future engineers of Lancashire." Liam Weatherill, Regional Director Primary Engineer, said:- "We are delighted that UCLan is supporting Primary Engineer with the competition in Lancashire. The University identifies the importance of introducing engineering into the classroom from an early age and the time given by its staff and students reinforces this. As with the rest of the UK, Lancashire needs a steady flow of people coming into engineering every year. Initiatives including the Primary Engineer and Secondary Engineer Leaders Award competition and the engineering courses offered at UCLan will support this." The competition is free to enter for both Primary and Secondary Schools across Lancashire, with a deadline of the 27 March 2019. Please let us know if you take part with your class or School, as we would love to know how you get on... Please email us to:- News24@SouthportReporter.Com if you do take part! GOODS exported from the North of England in 2018 were worth were worth ₤59 billion in the year to September 2018 and more than 19,500 businesses across the North are now exporting. Northern Powerhouse goods now account for nearly 18% of the UK's total goods output and these exports have helped propel the value of the Noth West Region's economy to ₤344 billion; that greater than the economies of Austria and Norway! As a result the Minister for Trade and Export Promotion Baroness Fairhead has justifiably celebrated the success of businesses across the North of England, at the:- 'PD Ports Northern Powerhouse Export Awards,' that have been at the National Railway Museum in York. The awards, now in their 3rd year, recognise the entrepreneurship and innovation of companies selling their products and services in overseas markets. In total, 10 awards were presented to a variety of companies from the Northern Powerhouse who are successfully making the transition from local to global trade. 'The Large Exporter of the Year Award,' went to Knowsley based Clarke Energy, a leading supplier of power generation equipment to a number of sectors. 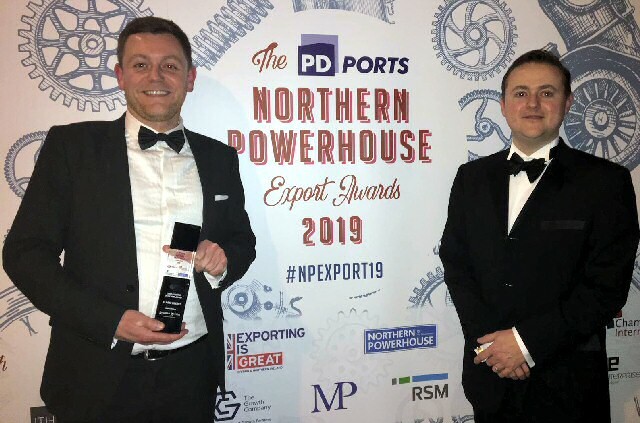 Back in 2018, Clarke Energy, was chosen by the Department for International Trade (DIT) to be an:- 'Export Champion' for the Northern Powerhouse. In August 2018 the Clarke Energy joined the Prime Minister's trade delegation to Africa, visiting:- South Africa, Nigeria and Kenya. The purpose of the delegation was to focus on encouraging international trade with the continent, where Clarke Energy has operated in since being granted the Jenbacher distributorship for Nigeria in 1998. Today the company exports to a total of 25 countries, with exports accounting for 66% of its revenues. Jamie Clarke, CEO of Clarke Energy, commented:- "We are delighted to receive this award after a number of years of sustained export growth. With this recognition I would like to personally thank all our global employees for their hard work and dedication. It was inspiring to see such a showcase of expertise from across the Northern Powerhouse, and I am confident that we will continue to do well as a region in this area. We place great importance on growing our exports, so hope to be back next year to celebrate more good news." Minister of State for Trade and Export Promotion, Baroness Fairhead commented:- "I'd like to offer my congratulations to Clarke Energy for its exporting achievements and to all the businesses shortlisted for this year's awards. They have all contributed to the significance of the Northern Powerhouse to UK exports and the UK economy generally. Their export successes are genuinely inspirational. The DIT stands ready to help companies export. I encourage local businesses to get in touch with us to learn more about what we can do to help you make the transition from local to global." Minister for the Northern Powerhouse and Local Growth, Jake Berry MP added:- "I congratulate all the finalists and winners at the PD Ports Northern Powerhouse Export Awards which are a great opportunity to celebrate the pivotal contribution made by Northern businesses to the UK's economy as we prepare to leave the European Union. Northern businesses will continue to play a major role in the UK's export market and I am pleased and proud to continue to offer both my admiration and continued support to them all." Cumbria based infant formula company, Kendal Nutricare, won:- 'High Growth Markets Exporter of the Year Award.' The company has seen success in the past year, and most recently secured significant new export deals worth millions during a trade mission to Shanghai. Elsewhere Life Sciences Sector leader Brandon Medical, from Leeds, took home the:- 'Emerging Markets Exporter of the Year' title. The company has joined both DIT and The Northern Powerhouse on events and missions to make the most of exporting opportunities for its design and manufacture of healthcare equipment. 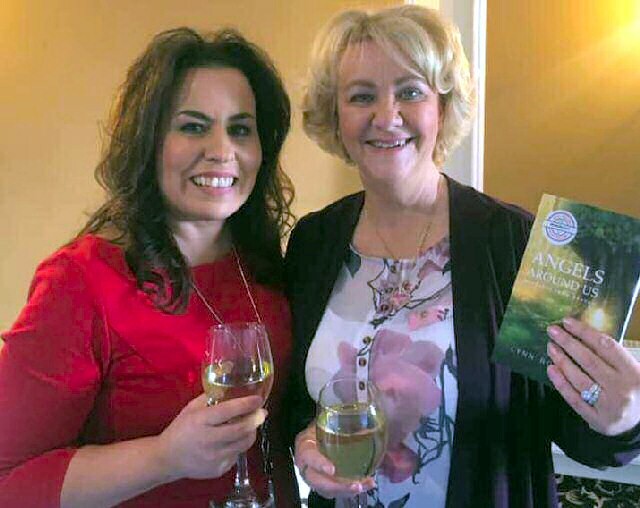 A Wirral based medium who helps people deal more positively with grief is sharing some of the successes of her work in a new book. Lynn Robinson from Moreton started working as a professional medium and spiritual teacher 5 years ago. She uses a unique set of skills to connect bereaved people with the spirit of their loved ones; helping them to come to terms with loss. The 54 year old documented her personal journey; from young child to spiritual teacher; in her 1st book:- 'A Light to Guide you Home.' Lynn claims has been able to talk to the spirit world since she was about 4 years old. Published in 2018 on Amozon with the support of independent publisher Team Author UK, the book shot to number 1 in the charts within 4 hours of being released. Her follow up book:- 'Angels Around Us' was released online, on Friday, 18 January 2019 and also reached number 1 in its Amazon category. The latest publication from Lynn is a heart-wrenching and mind blowing account of real life events which have taken place during readings and spiritual healing sessions with clients. Lynn said:- "I have worked with so many people over the years helping to connect them with the spirit of their loved ones and supporting them to experience grief in a more positive way. Those who open their mind to spiritual healing can find a great deal of comfort and peace after losing a loved 1 and 'Angels Around Us' aims to demonstrate just how strong the human spirit is by drawing on some of these real life experiences." Lynn, who began writing in 2015 and also published her 1st children's book in 2018, was inspired to put pen to paper for 'Angles Around Us' by her clients. Lynn explained that:- "Being a medium is not about séance's and craziness, it's about learning to use the skills we were all born with. I do believe there is more to life; a bigger picture; and I'm confident this book will bring a lot of peace to readers when they discover how my work has connected clients with their own loved ones."